Sports zone is dedicated not only for those who aim to break their life record in swimming, but for all people who find swimming enjoying. 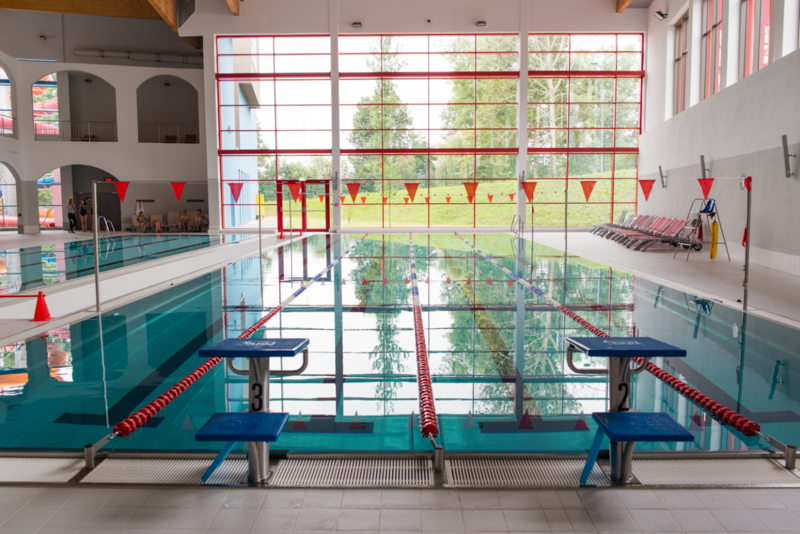 Moreover, thanks to the pool’s movable floor, it is possible to run swimming lessons for the young. 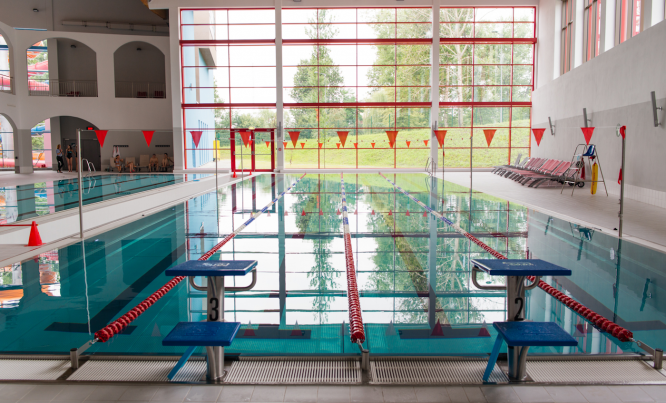 Two swimming pools and a dedicated instructor spot provide excellent learning possibilities for beginners - children, youth and adults swim under the supervision of qualified instructors. 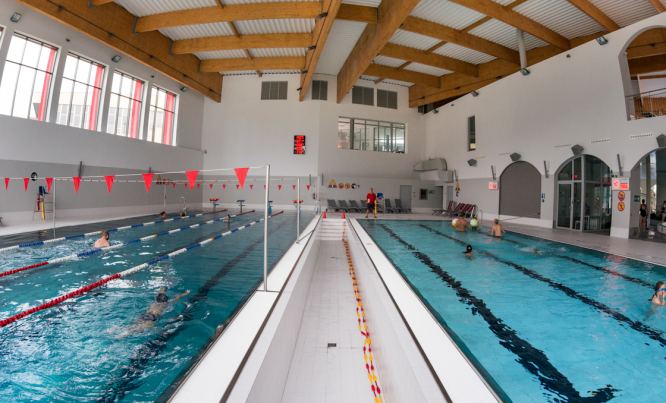 With this in mind, the Aquadrom Swimming School was created. 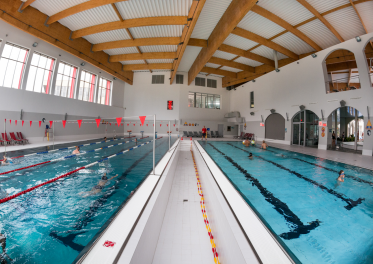 It is worth mentioning that Aquadrom has an innovative swimming pool with a movable floor which allows people participating in swimming lessons, especially the youngest ones, to feel confident in water, as the water can be regulated to have a depth of only 60 cm for example. As a result, children can gradually get used to the water being more and more deep. This pool also creates the possibility to run various aqua fitness classes that people are very fond of. 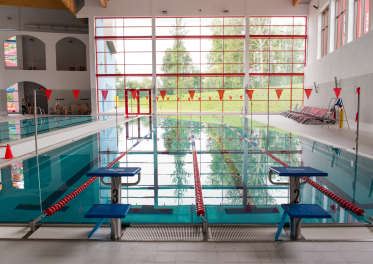 Sports zone is also equipped in a diving tube which is 7 meters deep and allows diving beginners to acquire basic skills in safe and comfortable conditions. Our goal when creating the Aquadrom Diving Academy was to provide experienced instructors, warm water and professional equipment at an affordable price for one hour of diving. Diving-related services now encompass a diving course which includes activities in both Aquadrome and open waters. 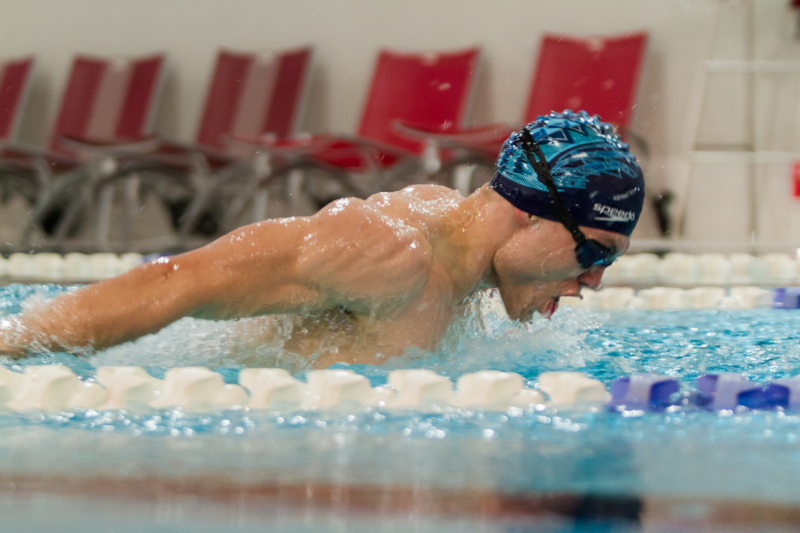 What distinguishes our diving course at the Aquadrom Diving Academy from other similar courses is additional fitness training and a water park voucher.